Every year a small number of women in the UK die in pregnancy or the puerperium. 50 years ago the main causes of maternal death were obstetric problems such as postpartum haemorrhage. Now, however, the main causes of maternal death are medical complications rather than obstetric and include cardiac problems, neurological disease, sepsis and thromboembolism (CMACE 2011). In this most recent report, substandard care was identified as a contributor in many cases. 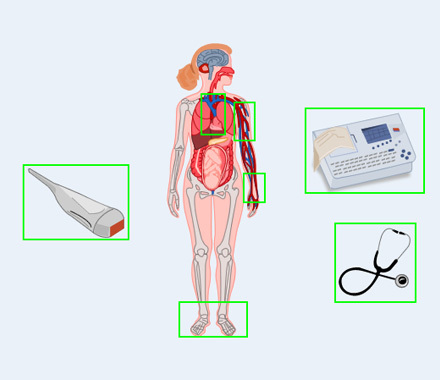 This module is primarily designed for trainees in Core Medicine, but will also be of use to others in ACCS (Acute Care Common Stem), Obstetrics and Anaesthesia. Trainee physicians only encounter pregnant women occasionally and may not have a working knowledge of either the dynamic physiology of pregnancy or the effect this has on interpretation of examination findings and laboratory investigations. This may lead to a delay in the timely and appropriate management of the acutely unwell pregnant woman. Medical problems in pregnancy are included in the curriculum for Core Medical Training as well as many of the medical specialty training programmes. These sessions are designed to build up the learner’s knowledge and complement their exposure to unwell pregnant women, which is often infrequent. The module is divided into six sessions, which are designed to be completed in order. The sessions feature interactive exercises, case examples and short videos to increase the learner’s knowledge and confidence in this field. This session introduces the learner to the significant physiological changes that occur in pregnancy, working though each system. The clinical relevance of these changes is described and this will be built on further in later sessions. If you already have an account with e-LfH, then you can enrol on to the Medical Problems in Pregnancy programme by logging in to the e-LfH Hub, selecting My Account > Enrolment and selecting the programme. You can then access the programme immediately in the My e-Learning section. 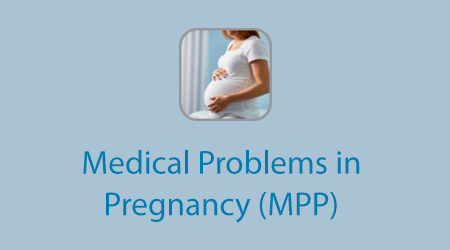 The Medical Problems in Pregnancy programme is also available to NHS healthcare staff via the Electronic Staff Record (ESR). Accessing this e-Learning via ESR means that your completions will transfer with you throughout your NHS career.